Pharma gets social: what will Boehringer Ingelheim’s Syrum game achieve? 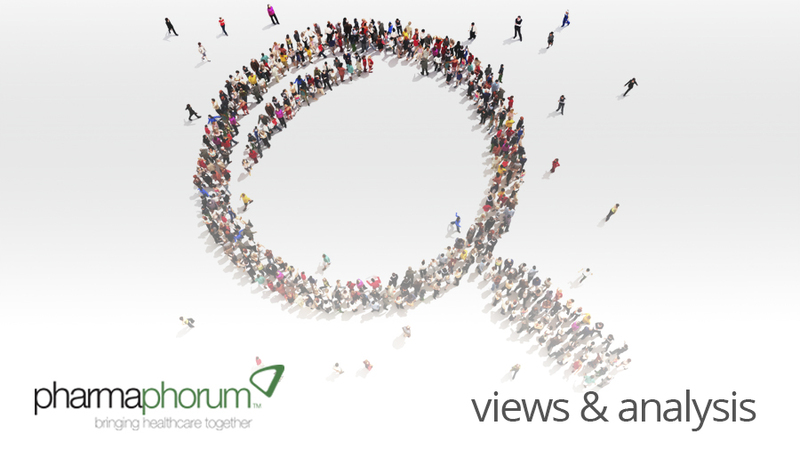 As our digital focus continues, Daniel Ghinn explores the growing anticipation around Boehringer Ingelheim’s launch of Syrum – the first pharmaceutical social game – ahead of its beta launch on 13th September 2012. Ever since Boehringer Ingelheim first announced its imminent social media game via its Facebook page last summer, there has been growing anticipation about the initiative that John Pugh, the company’s Director of Digital, is calling “Pharma’s first full social game”. Who will be able to play the game? How will it be played? What’s in it for Boehringer Ingelheim? And when will the game be launched? Possibly the most anticipated pharma digital initiative ever, the game was originally billed to be launched late in 2011 and was scheduled to be presented at DigiPharm 2011 around a year ago. Over the past year, the game has been widely discussed, online, in the press, and in conferences. In fact, Google lists over 50,000 results for “Boehringer Ingelheim Syrum”. That’s impressive for a game that has yet to be launched. Now, finally, the waiting is over. At the time of writing this article, Boehringer Ingelheim’s new game, Syrum, is scheduled for launch in just a few days’ time at PSFK Conference in London. The launch approach has been designed to continue to generate engagement beyond the gameplay itself. Pugh says that the game will be launched as a beta version and people will be encouraged to give feedback by means of in-game rewards. Speaking at Doctors 2.0 conference in Paris earlier this year, Pugh said that the game is a move away from the pharmaceutical industry’s image as “the most boring industry in the galaxy”. “My mission is to try and create a more engaging and a more emotional image for our company, and hopefully for the pharma industry as well”, he said. The concept behind the game is straightforward. In fact, I tested this by showing my 9-year-old son the Syrum website’s preview video and asking him to explain the game to me. “Well, the world is coming to an end, and you have to fix it by mixing up potions to make medicines. I’d try it”, he told me. He might have missed some of the industry detail included in the game – investigate compounds, carry out clinical trials, market the drugs, headhunt staff, partner with peers – but I anticipate that he would discover these features as the gameplay developed. Syrum is not only for children, though: Pugh says that the game is designed “for anyone to play”. Social media game Farmville has often been cited as one of the inspirations behind Syrum. With over 4 million daily active users, Farmville has become one of the most popular games of its type and its maker, Zynga, continues to innovate. Earlier this month, a brand new version, Farmville Two, was launched in sixteen languages promising more immersive, 3D gameplay. So will Syrum rival Farmville’s popularity? Of course not – it may well be the pharmaceutical industry’s first fully social game, but it is a late entrant to the well-established mainstream immersive social game landscape. Yet Syrum is certain to be among the most engaging corporate communications initiatives launched by a pharmaceutical company this year. • Greater awareness of – and engagement around – the Boehringer Ingelheim brand. Facebook friends and family of everyone who tries out the game will potentially be exposed to it, while media interest has already spread well beyond the industry press. • Engagement with Boehringer Ingelheim via Facebook. I expect the company’s corporate Facebook page will gain followers at an increasing rate, as well as the Syrum official Facebook page. • By using the game as a new platform, Boehringer Ingelheim will learn new lessons about engagement with consumers. In the long run, this might be the most valuable outcome for the company. Over recent years, pioneering in new digital channels by pharmaceutical companies has primarily been in the form of corporate communications initiatives. This is the environment in which lessons have been learned by leaders including Johnson &amp, Johnson, Pfizer and Lilly, through successes and setbacks that are now well documented. As the Syrum game introduction video states, “There will be glory …but it won’t come easy”. In the months and years to come, I anticipate that we will see Boehringer Ingelheim apply what it learns through Syrum about gamification and consumer education to its engagement around specific therapy and disease areas. Whether or not the Syrum game lasts as long as its build-up has, its legacy is bound to inform strategies well into the future. Daniel Ghinn is CEO at Creation Healthcare, a consultancy that equips pharmaceutical companies for successful engagement in the digital world. Daniel may be contacted at daniel.ghinn@creationhealthcare.com or by Twitter at @EngagementStrat. What do you think? Will Boehringer Ingelheim’s game be a success?